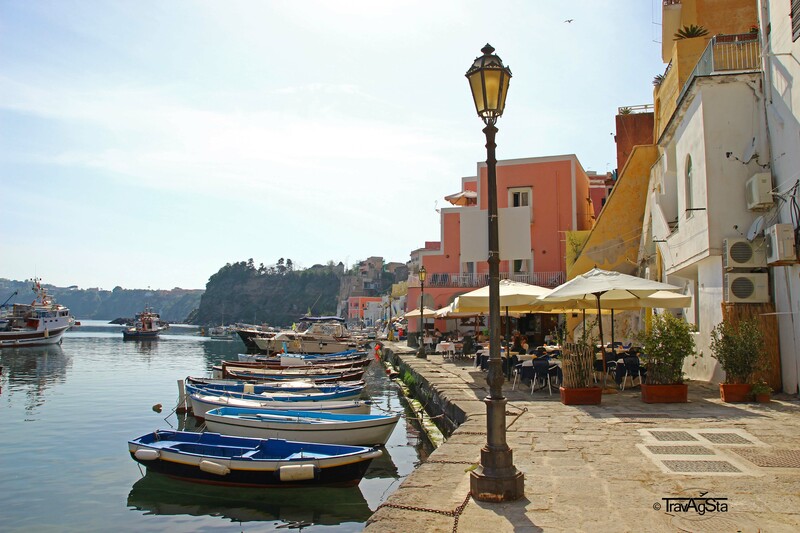 This lovely, small volcanic island lies in the Gulf of Naples. The name itself already made me dream. 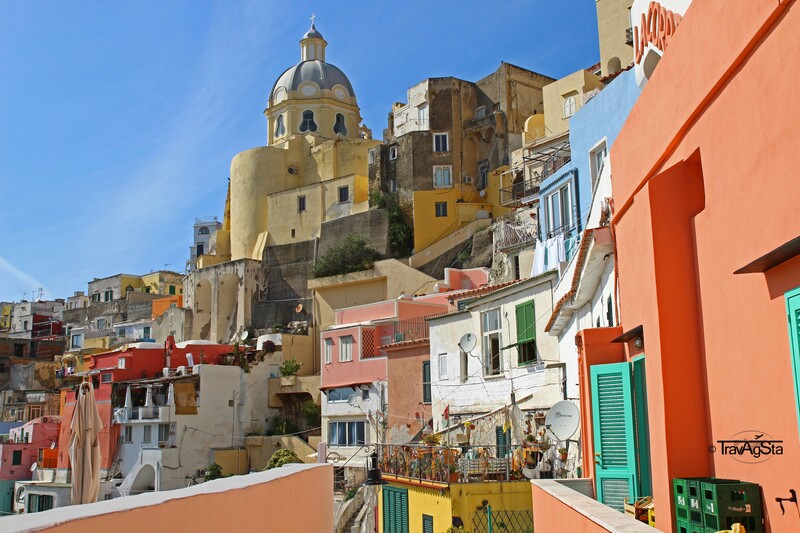 Colourful houses, great lemon ice cream, tasty wine and food. Amazing Island. And: Almost no other tourists were there. 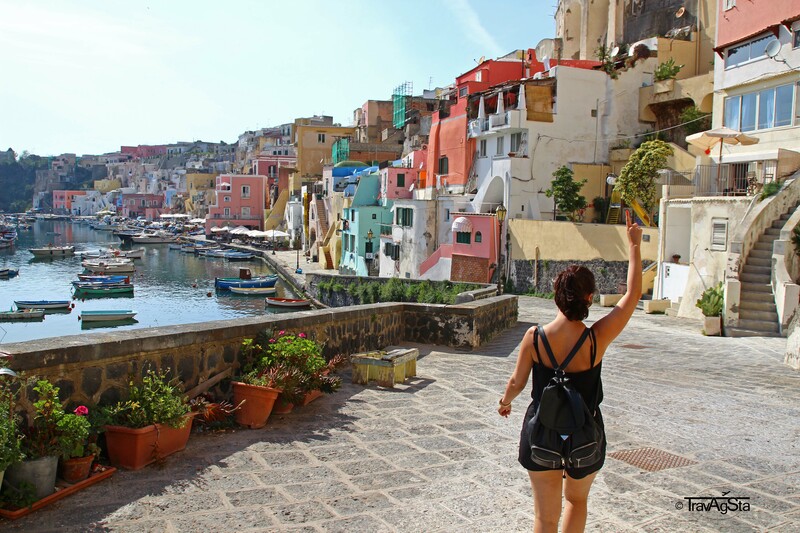 We really are no misanthropes, but the island definitely was an appreciated contrast to the endless tourists at the Amalfi Coast. 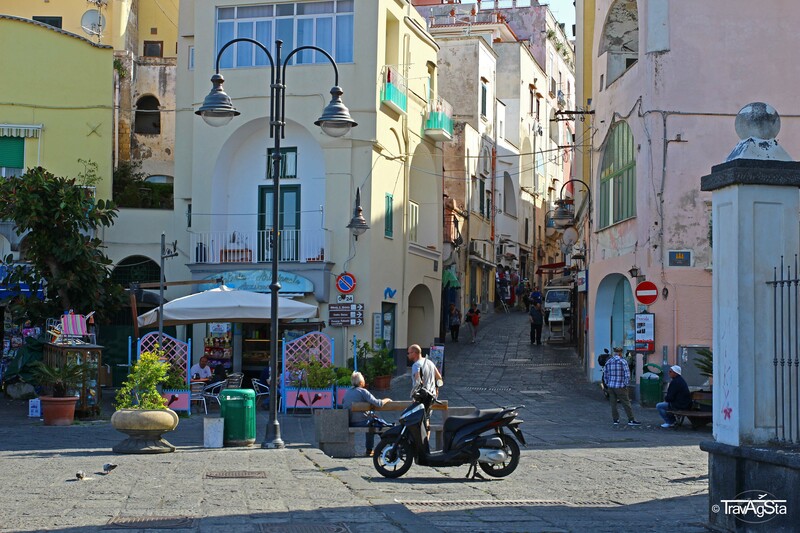 The locals love the island, but Ischia’s small sister is almost tourist-free. Why? No idea! 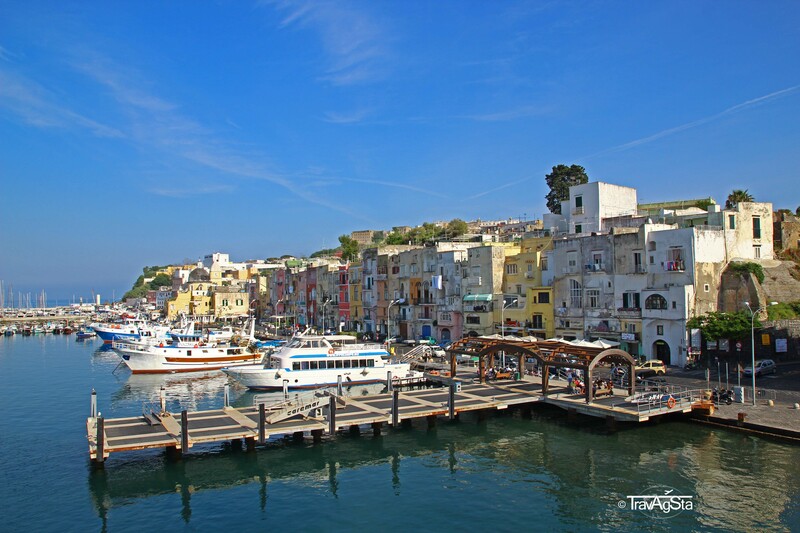 From the Amalfi Coast there’s no direct boat to Procida. 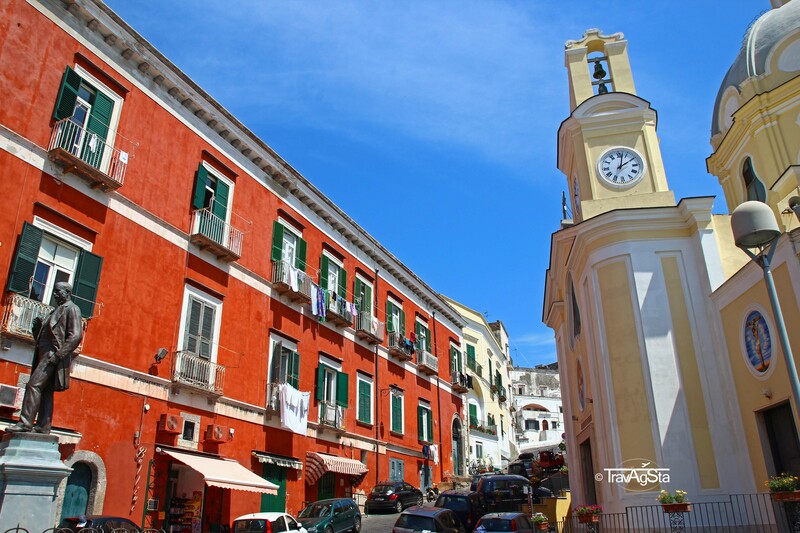 We took our rental car and drove in the morning from Maiori to Pozzuoli, a town in the west of Naples. 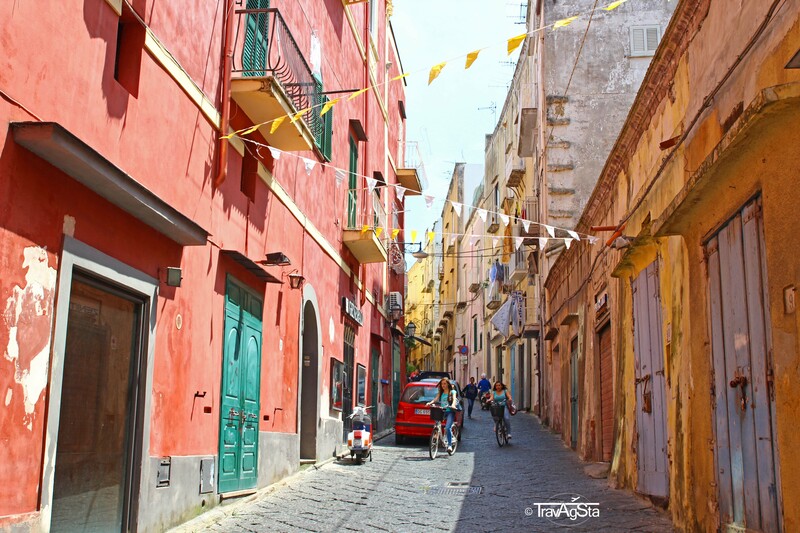 The traffic in Naples is also a thing to discover! 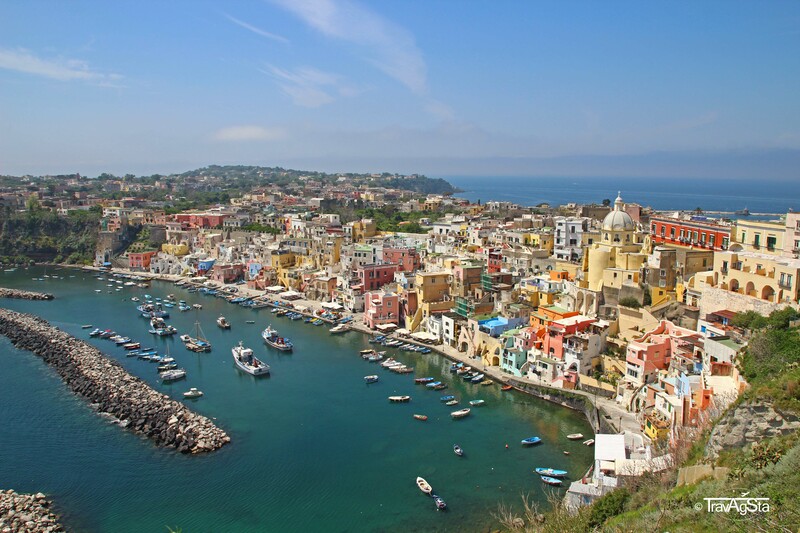 Of course, she understood Procida. She gave me two tickets and the itinerary. Departure times are poor in low season. But we didn’t care. The island is quite small and we had full three hours there. 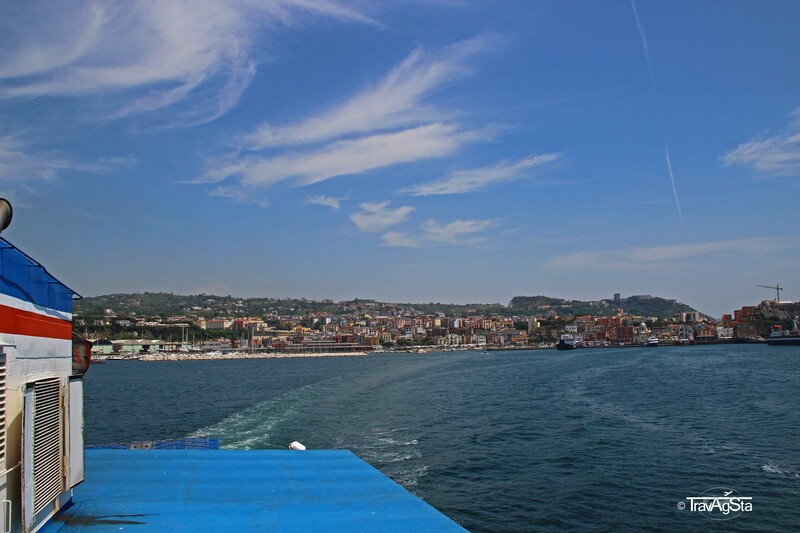 Next question: Which ferry? She explained it in Italian. I didn’t understand a single word. The man behind me tried to help. Me: “No, Italiano”. Nobody cares and all continue to talk. I like Italians! Whatever. We missed the first ferry, so we had enough time to find a guarded parking lot. 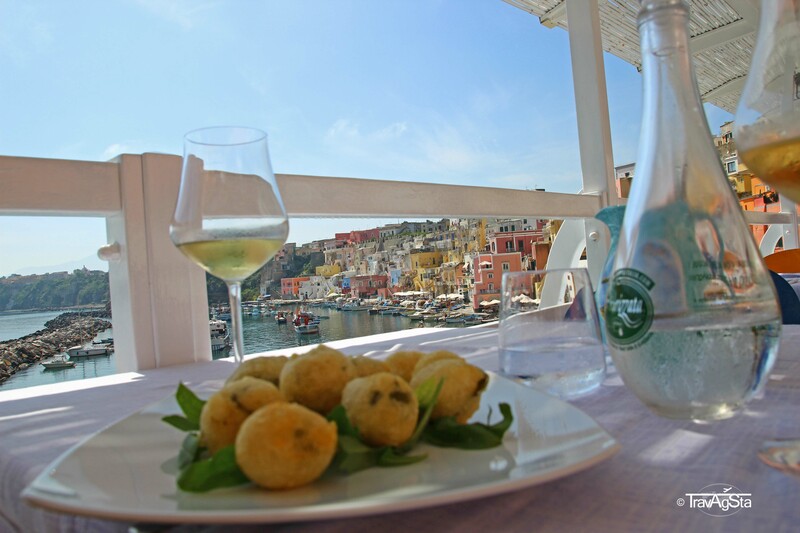 Probably a wise thing for non-Italians in this region. €8 for this, €16 for the ferry ticket each. No, it wasn’t a bargain! By the way: Doing research online before, doesn’t really make sense, as the itineraries aren’t up to date and often even contradictory. Managing the organisational stuff, the rest is quite convenient. 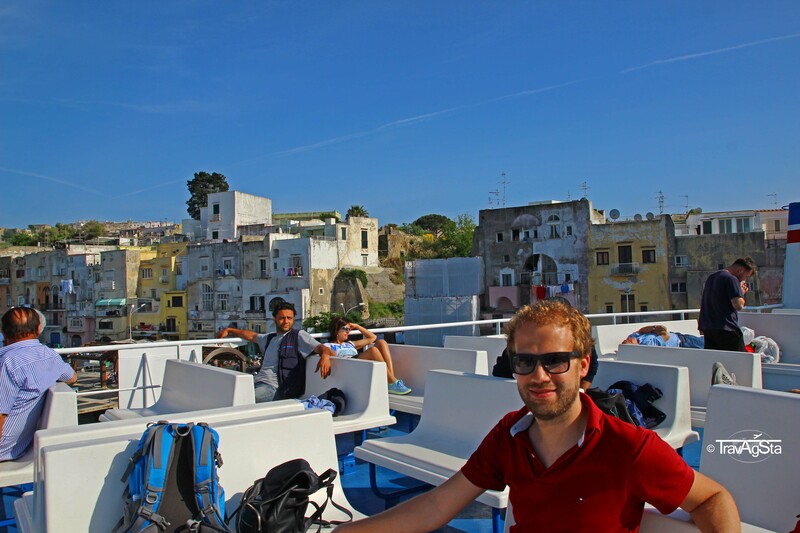 Only Italians were on the boat. There’s not much to say on that. 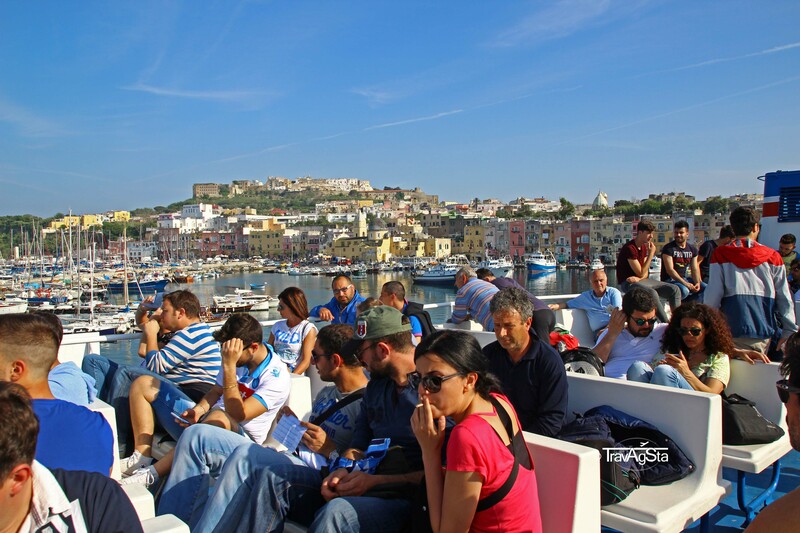 Besides that the ferry next to ours departed to Ischia and it was way more crowded. 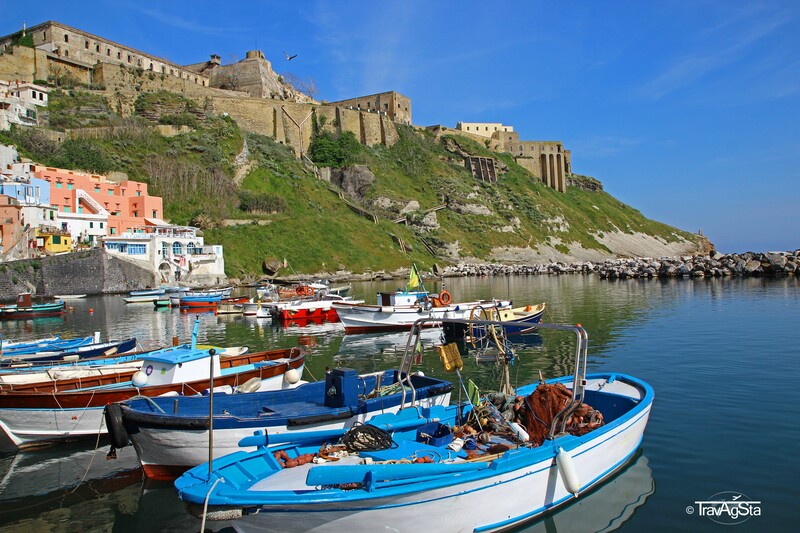 You can also depart in Naples, but Pozzuoli is closer. The ride took roughly 45 minutes. The Good-Friday procession is supposed to be a highlight. Of course, in May, we were too late for this. Whatever. Come here, everybody! The postcard scenes are to find here the whole year. 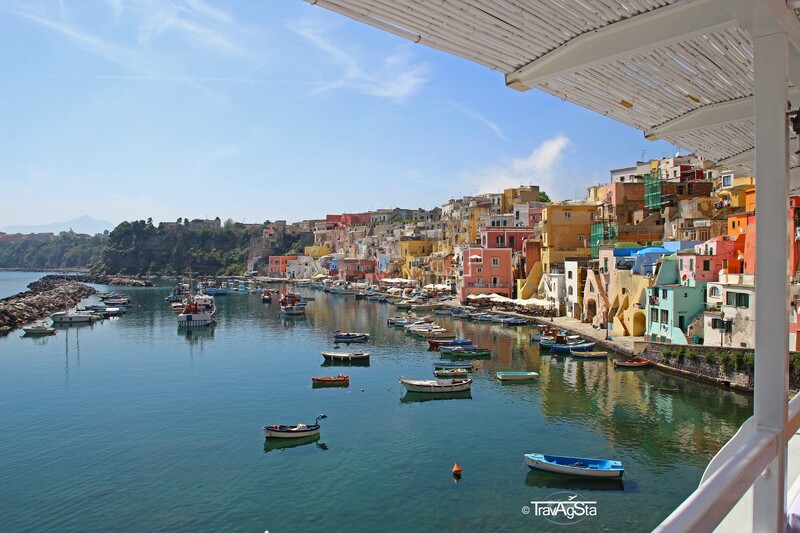 Marina Corricella with its colorful fishing houses, the cute fishing boats and a heavely ease (at least during the week) seemed a bit unreal! Terra Murata offers a great view. At first it looks like an old fort. It used to be a village, though, surrounded by walls. 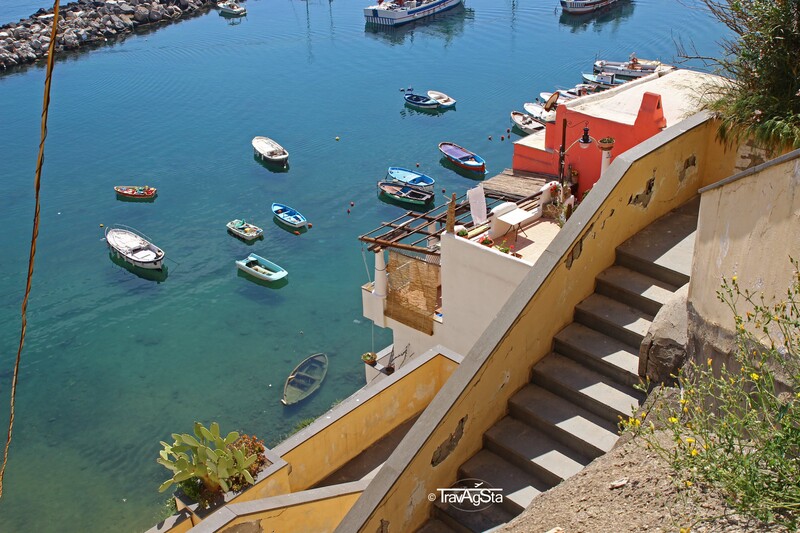 They were built in the 16th century to protect the people by the many pirates in the Mediterranean Sea. The fort was closed this day, so we couldn’t visit it, but the view from up there (next to the canons) was amazing. Going up there in the heat is a bit exhausting. But having good shoes (which I didn’t have), it’s not a problem. Again I was suffering from hurting feet due to my flip flops. Whatever. No risk, no fun. Blah blah. Get some good shoes. Basta! San Michele Arcangelo is supposed to be worth a visit. We didn’t see it as we preferred walking down again. Here we discovered “La Lampara”. 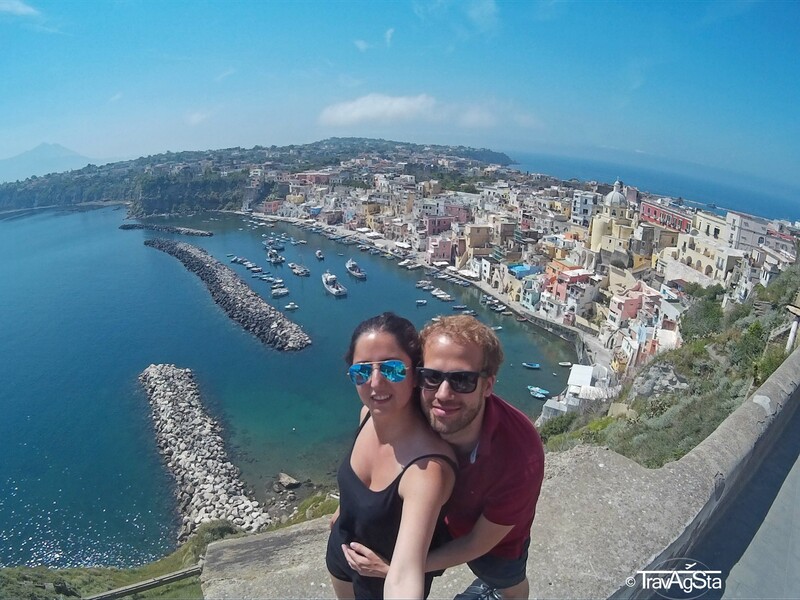 We have to admit: We wanted to go there by all means, but we didn’t really inform us very well. We knew the island would be small. We found this restaurant by accident. It must be well known and popular. But we were there alone with the staff. In the beginning, one Asian backpacker was there. In the end one Italian, who came here to eat a three course meal for lunch. Nobody in Germany would do that: Coming alone for lunch, having a three course meal, including half a litre of wine and then get back to work. Fantastic! For about one hour, it felt as if we would be alone on this island. Due to the great view, we expected it to be more expensive (would be normal in Germany and many other places in the world). Well, not here! So, the pictures and the ease still didn’t convince you? I’m not sure, what might…Furthermore it’s not expensive here. Prices which Italians are paying, too. 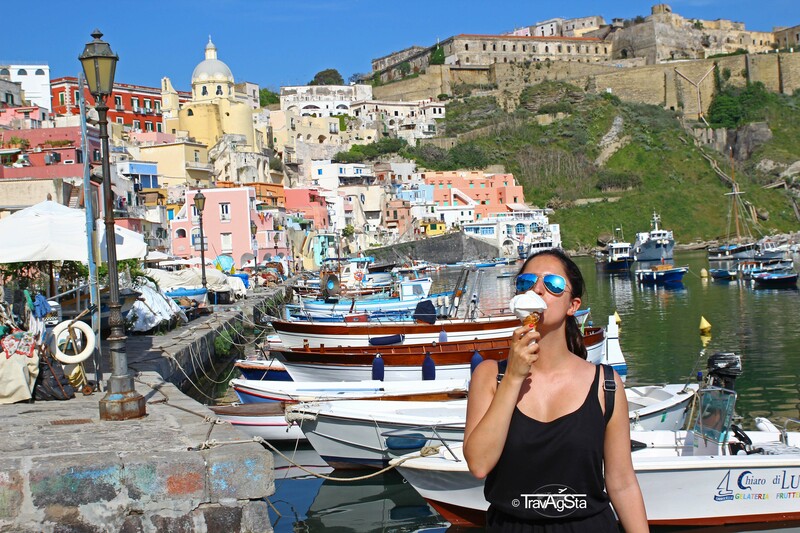 Procida is so bizzarly beautiful, you have to put this on your Bucket List! 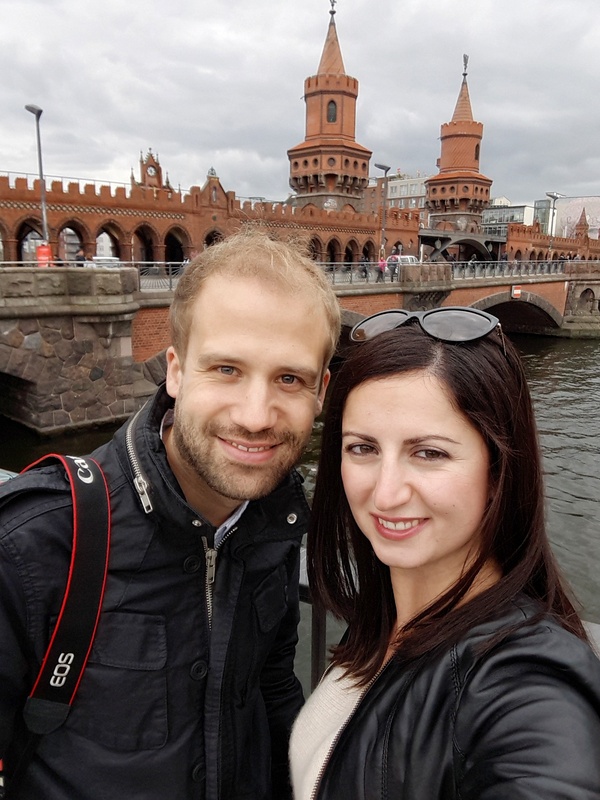 Madrid – A weekend trip to Spain’s capital!